Then look no further than Andrews Automation Ltd! 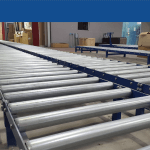 More and more companies from a variety of industries have contacted us in recent months to discuss ways to automate production and warehouse processes as a way of increasing throughput and efficiency. The bonus of being able to reduce long term overheads and potential health and safety risks are merely additional by-products of such systems. Investing in automation can bring a typical ROI of 18-36 months, which will surely allow businesses to be rest assured that putting money aside for investment into the right automation systems can pay dividends. 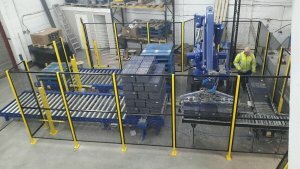 Whether you’re looking at automated palletising via our bespoke-designed robot systems See our robot palletiser in action!, or powered conveyor systems to reduce the impact of FLT’s on-site, Andrews Automation Ltd can provide stand alone or integrated systems to fit a wide and varied range of applications. AAL will look after projects from the initial design, to the build of the systems and controls, to the installation, commissioning and after sales. Further to recently moving into our manufacturing facility at Goole in the East Riding of Yorkshire, we are now ideally situated close to major network routes ( M62, A1, M1 ) to be able to service enquiries and after sales requirements from all over the UK. 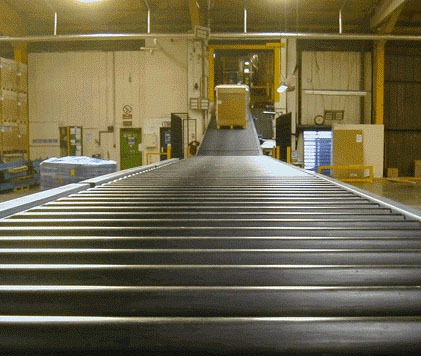 Call the office today on 01405 768900 to arrange a no obligation site visit to discuss your materials handling and conveyor systems options. If you prefer, you can email our UK Sales Manager direct at darren@andrewsautomation.box.